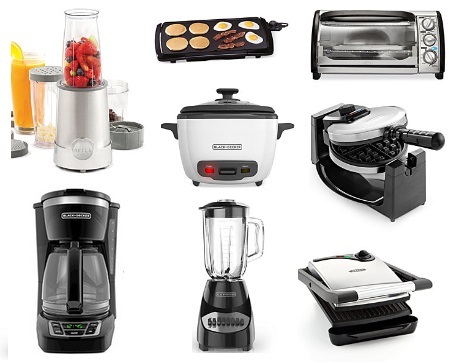 Home > Uncategorized > Macy’s: Black & Decker, Bella, and Presto Small Kitchen Appliances Only $9.99 After Rebate (Blender, Toaster Oven, Griddle + More)!! September 14, 2018 2 Comments on Macy’s: Black & Decker, Bella, and Presto Small Kitchen Appliances Only $9.99 After Rebate (Blender, Toaster Oven, Griddle + More)!! Macy’s has select Bella, Presto and Black & Decker small kitchen appliances marked down to $19.99, plus there is a $10 mail-in rebate, making it just $9.99 after rebate. Macy’s offers free -in-store pickup, or free shipping on orders of $48 or more, or you can click here to purchase any beauty item which are priced from just $35 to get free shipping on any order!